What is the largest consumer of energy in either residential or commercial building? The largest consumer of energy is air conditioning, whether heating or cooling, in Australian buildings. Why is energy efficiency compliance and 6-star rating required? For a residential building, class 1, energy rating report of a minimum 6-star is required to obtain a building permit. Without it, a building permit cannot be issued from a Registered Building Surveyor. For a commercial building, classes 2 - 9, a Section J (Part J) compliance report is required to obtain a building permit. Without it, a building permit cannot be issued from a Registered Building Surveyor. FirstRate 5 is a second generation software program which is used to both assess and rate residential buildings. It cannot be used for small extensions which are less than 50% of existing floor area. Alternatively, if there is an extension which is greater than 50% of existing floor area, then the whole residential building will be rated by FirstRate 5. Dispensations can be given to some existing areas subject to Registered Building Surveyor's approval. FirstRate 5 is a very powerful program to both assess and rate buildings. It is far superior to the previous version, first generation, FirstRate 4. When correctly used, 5-star or even 6-star rating can be obtained without implementing expensive items such double-glazing and other expensive building materials. We have rated hundred of buildings which easily achieved 5-star and even 6-star rating compliance without using double-glazing, plenty of insulation and other expensive materials. Our clients have been surprised and very satisfied. In this way, the end client who is either the owner or builder or developer can significantly save thousands of dollars on building materials. FirstRate 5 covers glazing, insulation, window schedule, orientation, building fabric, and floor area. This assessment and rating pre required to obtain a building permit. Only accredited and certified consultants can use FirstRate 5. Efficient Energy Choices is both accredited and certified from 2005 and has had rapid growth since then. We have done hundreds of dwellings including: single-storey, double-storey, unit developments and townhouses. What is required to obtain an energy report? Email or post drawings of the proposed building. The drawings need to cover floor area, elevations, construction materials, window schedule and whatever else suitable. This information is required for a new building, extension or a fit-out. The drawings will be assessed and you will get a compliance report accordingly. What is the minimum requirement for residential building? The minimum requirement is now 6-star rating. This was introduced on 1st May 2011. When will 6 star energy rating efficiency come in? 6 star energy rating efficiency commenced from 1st of May, 2011 in Victoria. It applies to designs which started post 1st May 2011. In Victoria, if your designs were completed prior to 1st of May 2011, then 5 star energy rating efficiency will still apply. 6 star energy rating efficiency already applies to QLD, ACT and SA from last year. Is a solar hot water unit required? Is this included in the energy rating report? The energy rating report does not include a solar hot water unit. The energy rating report includes glazing, orientation, window frames' types, insulation, etc The Building Commission requires minimum 5-star energy rating plus either a solar hot water unit or a rainwater tank. From 1st of May, 2011, minimum requirement to be implemented on site will be 6-star energy rating plus either a solar hot water unit or a rainwater tank. 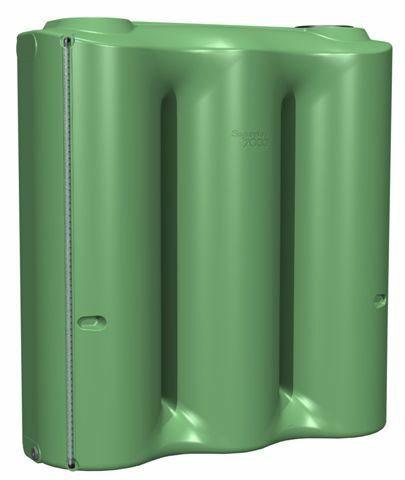 Is a rainwater tank required? Is this included in the energy rating report? The energy rating report does not include a rainwater tank. The energy rating report includes glazing, orientation, window frames' types, insulation, etc The Building Commission requires minimum 5-star energy rating plus either a solar hot water unit or a rainwater tank. From 1st of May, 2011, minimum requirement to be implemented on site will be 6-star energy rating plus either a solar hot water unit or a rainwater tank. What is required for alterations or extensions for residential building? What is the best orientation to achieve maximum energy efficiency? What is Low E (Energy Efficient) glazing? Low-e glass stands for low emissivity glass. This glass varies from normal clear glass in that one side of the glass has a special metal coating, technically known as a low emissitivity, or Low E. coating. Low-E glass is a type of insulating glass, which increases the energy efficiency of windows by reducing the transfer of heat or cold through glass. That means in the winter your house stays warmer, and in the summer it stays cooler. There are two types of Low-E (low emissivity) glass available - Pyrolytic (hard coat) is our Sunergy product and is considered to be a medium performer, and sputtered (vacuum deposition or soft coat) is considered to be the highest performer. As energy saving will become more and more important in our daily lives, implementing low-e glass in both residential and commercial buildings will soon be a standard we all have to comply to. The radiation coming from your heating system and your furniture and furnishings is long wave radiation. This type of radiation should be contained in your room as best as possible, while the radiation from the sun should be shielded and reflected back outside. What is Section J (Part J) compliance? Section J was introduced in the BCA from 1st of January, 2008. It is now mandatory to comply with Section for all new or alterations to existing commercial building. Section J is required to obtain a building permit. At competitive prices, Efficient Energy Choices has been carrying out Section J assessments and reports for numerous building classes such as: schools, caf├®, offices, medical centres, retail, factories and multi-unit developments. We have been able to save our building designers and builders thousands of dollars through intelligent designs and competitive prices. If you need any assistance, please feel free to contact us.